and hobby retailers online and worldwide. Superbly detailed; Eduard’s usual clear instructions; clean moulding. 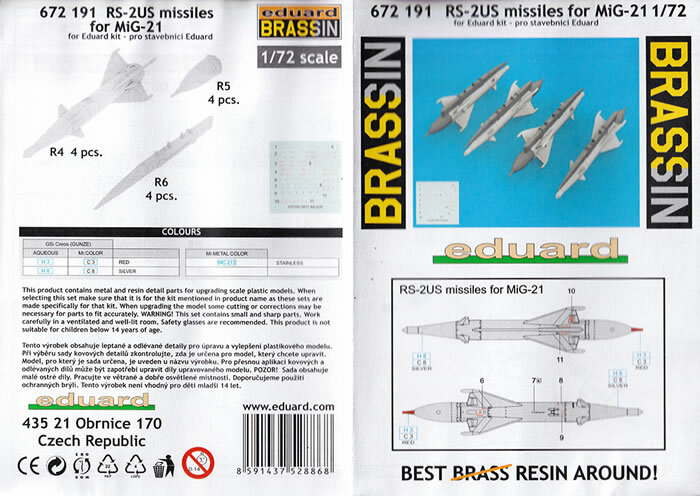 These missile sets are a great step up for any of Eduard's 1/72 scale MiG-21 kits, even the Royal Class boxing. The Kaliningrad K-5 (NATO reporting name AA-1 Alkali), also known as RS-1U or product ShM, was an early Soviet air-to-air missile. The development of the K-5 began in 1951. The first test firings were in 1953. It was tested (but not operationally carried) by the Yakovlev Yak-25. The weapon entered service as the Grushin/Tomashevich RS-2U (also known as the R-5MS or K-5MS) in 1957. 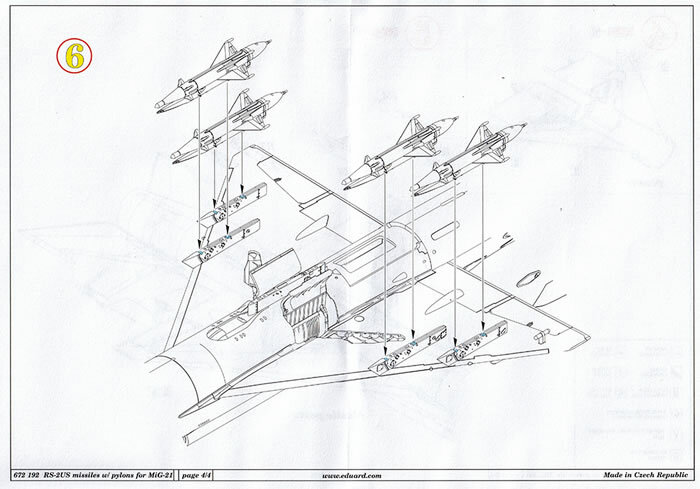 The initial version was matched to the RP-2U (Izumrud-2) radar used on the MiG-17PFU, MiG-19PM. 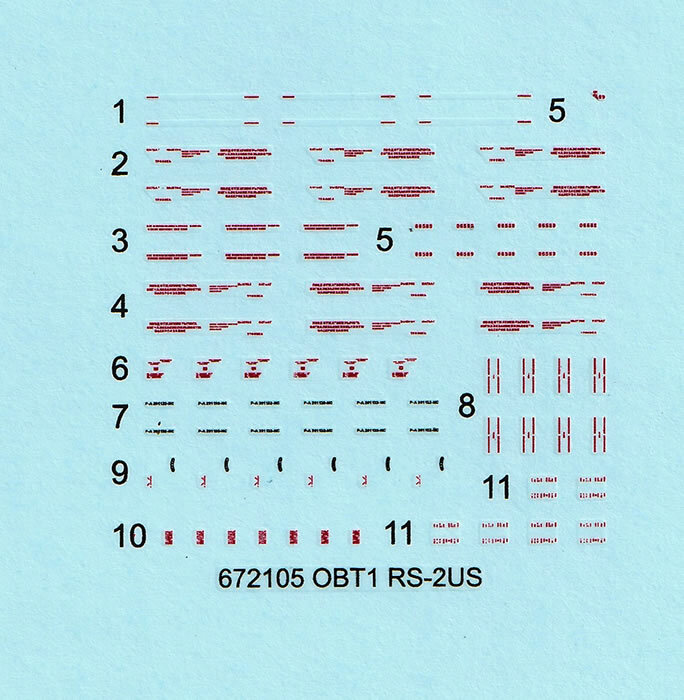 An improved variant, K-5M or RS-2US in PVO service, entered production in 1959, matched to the RP-9/RP-9U (Sapfir) radar of the Sukhoi Su-9 and MiG-21. 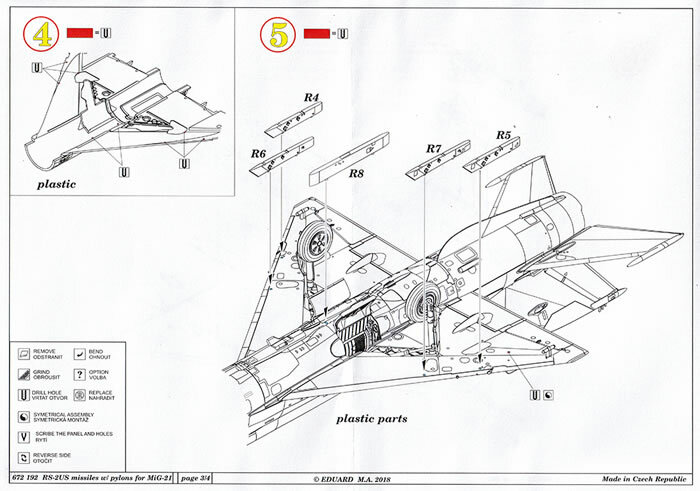 The People's Republic of China developed a copy under the designation PL-1, for use by their J-6B fighters. 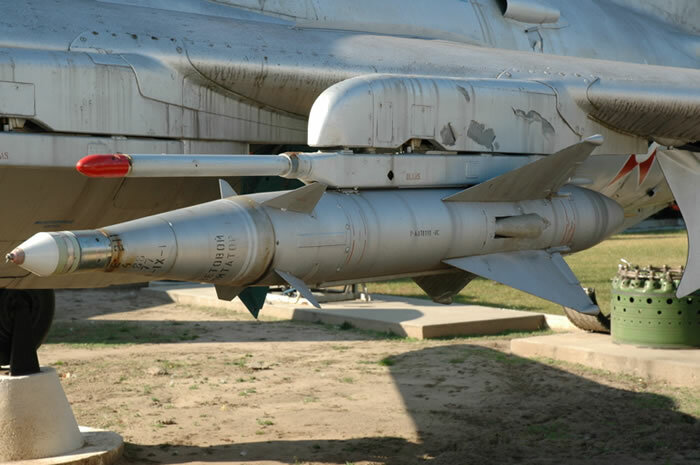 The difficulties associated with beam-riding guidance, particularly in a single-seat fighter aircraft, were substantial, making the 'Alkali' primarily a short-range anti-bomber missile. 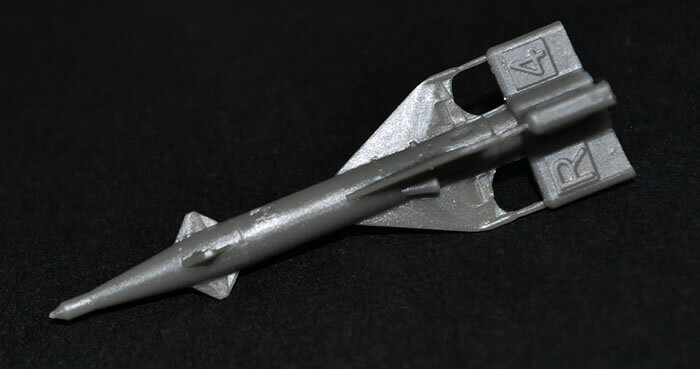 For the regular visitors to HyperScale, you probably read my review from a fewweeks ago of the Royal Class boxing of the MiG-21 which I followed up just over a week ago with the BIG SIN MiG-21 set, as a great addition to both normal Eduard kits of the MiG-21 and Royal Boxings. The next few instalments over the next week or so will explore the Eduard products that gives us all of the possible ordinance that can be added for this gem of a kit(s) as well other additions. 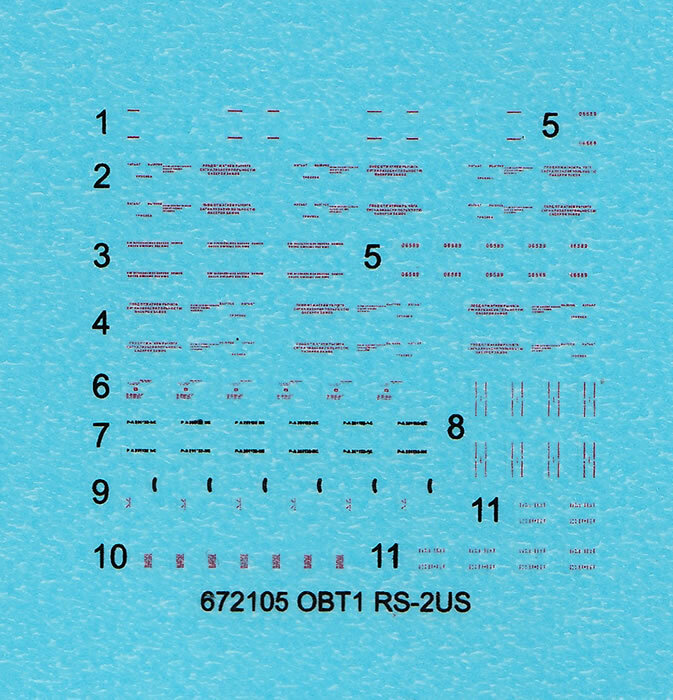 The first of these today is for the RS-2US Missiles used on the MiG-21. Eduard has released 2 sets of the RS-2US Missiles for the MiG-21. The first of these is just a straight set of missiles. 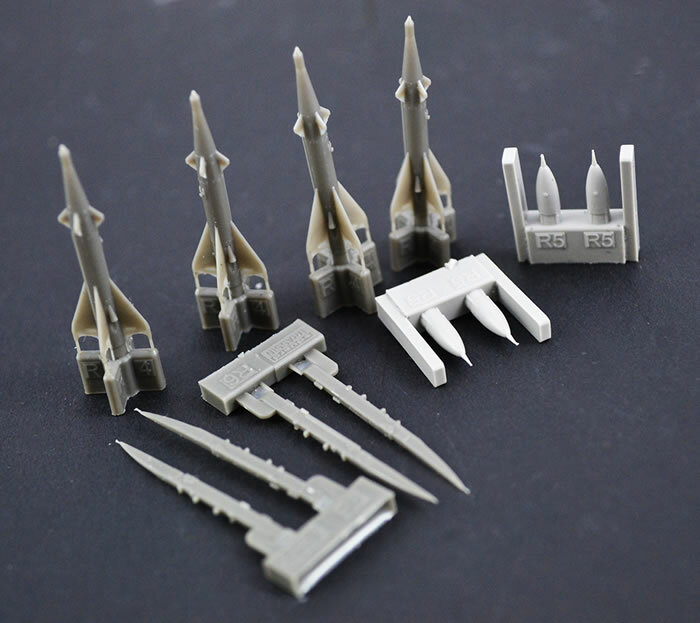 The set gives you parts for 4 missiles. 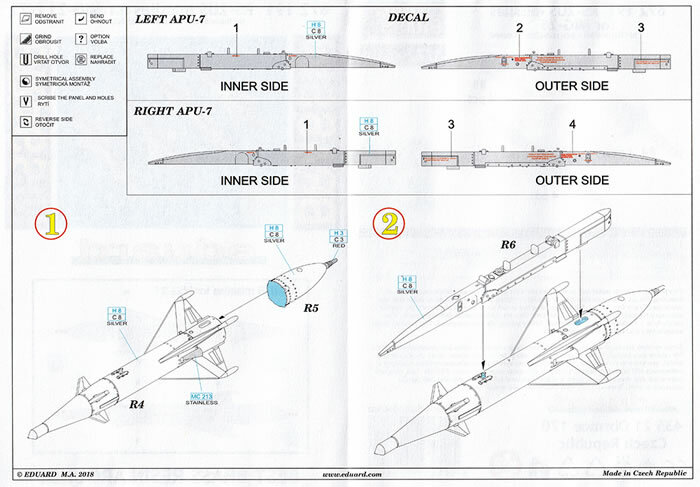 Each missile has two parts, a main front section and a rear cover. Construction is simple with very little cleanup, if any, needed. 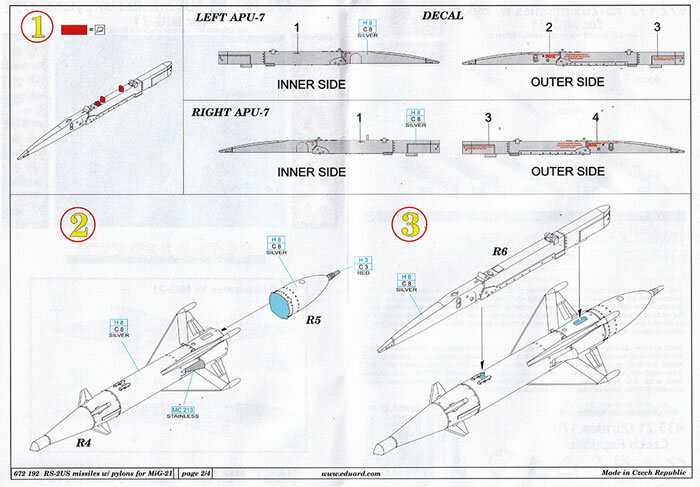 This set also provides very neat 4 APU-7 Launchers that go onto the aircraft pylons to mount the actual missiles. 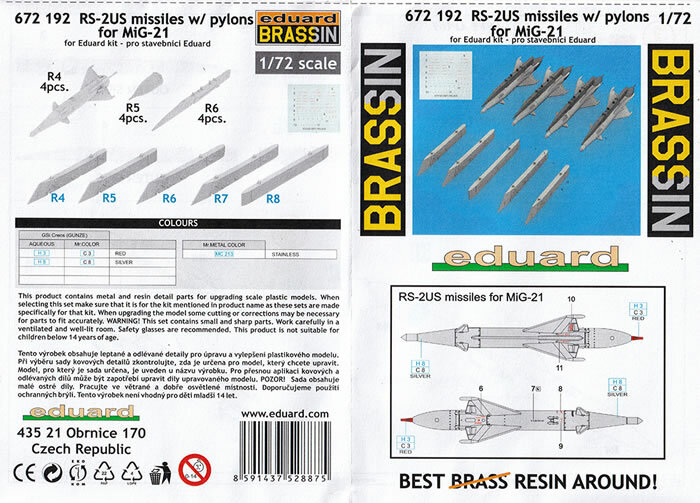 The Brassin instructions are 2 A5 pages of clear instructions, decal positioning and painting callouts, which are Gunze Aqueous and Mr Color referenced. 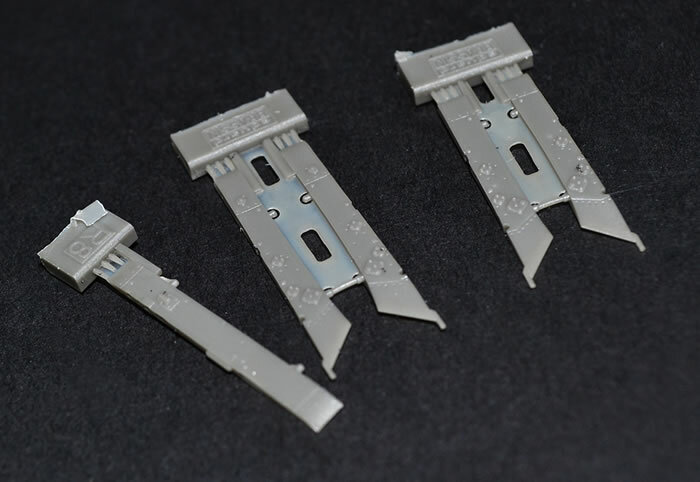 The second set is identical to the above set but with the addition of a set of lovely set detailed of pylons, 4 wing pylons and a centre pylon. The Brassin instructions expand to 4 A5 pages with all requirements laid out clearly with Gunze brand paint callouts and detailed decal location details. 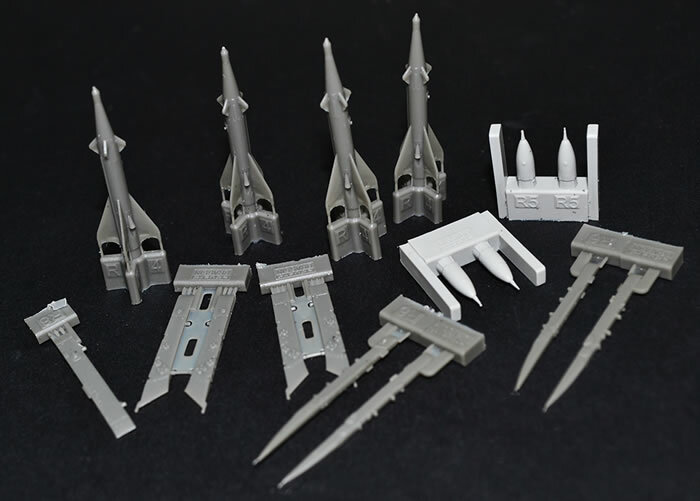 These are a couple of very nice, well detailed and produced sets that will enhance your Eduard MiG-21 kit builds, regardless of them being a Weekend version, a Profipack or the Royal Class boxing. Use either of these and you will have some lovely detailed and classy ordinance hanging under the wing.